There are stopping niches and breakdown bays every 1,000 metres in each direction. Vehicles can be parked safely here. 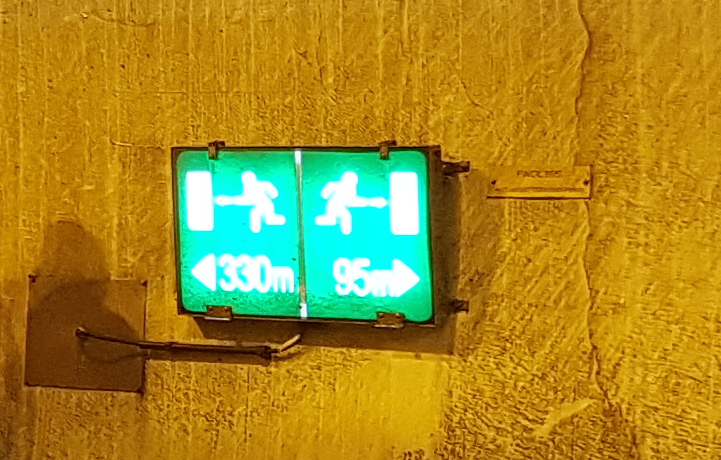 When a car drives into a breakdown bay, the speed limit in the tunnel is lowered to 60km/h and all safety facilities are activated. Each breakdown bay has a fire extinguisher with a wall hydrant and an emergency phone. From here you can call for help quickly. The operator and the traffic management centre know where you are and can send help quickly. AKUT, which stands for "acoustic tunnel monitoring", was developed in cooperation with the Styrian Joanneum Research institute. 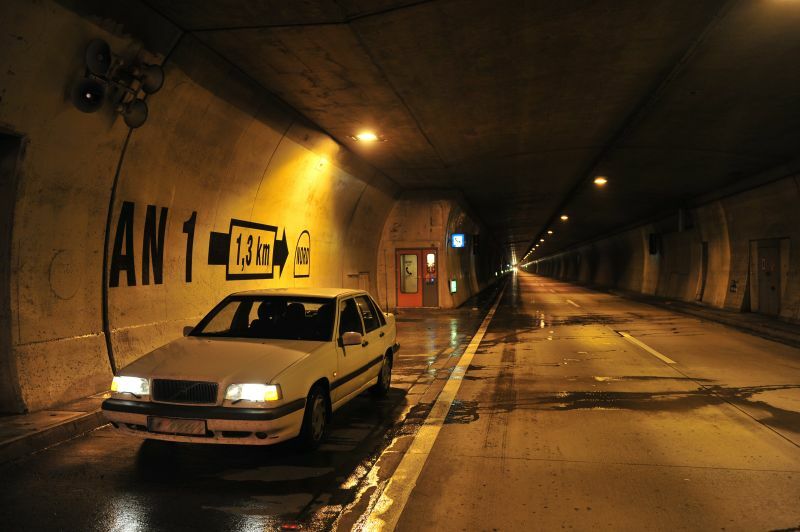 It detects accident sounds in the tunnel and automatically gives an alarm. The special microphones are installed approximately every 125 metres directly next to a video camera. 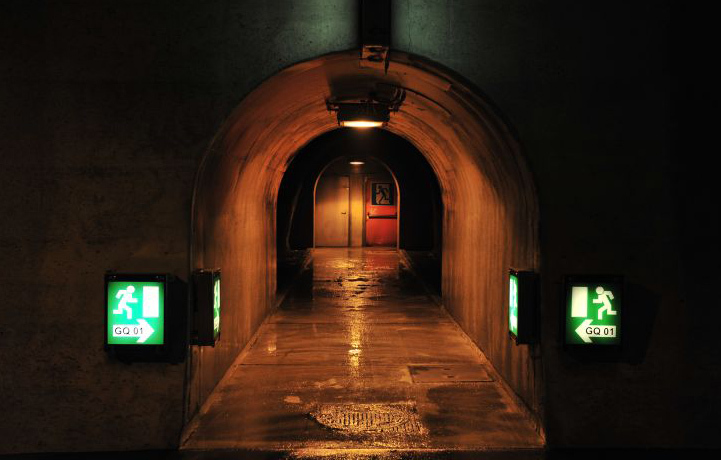 The microphone records all sounds in the tunnel and analyses them in real time. If the AKUT system detects an unusual sound, such as an emergency stop (screeching tyres) or a tyre blow-out, the system sounds the alarm. 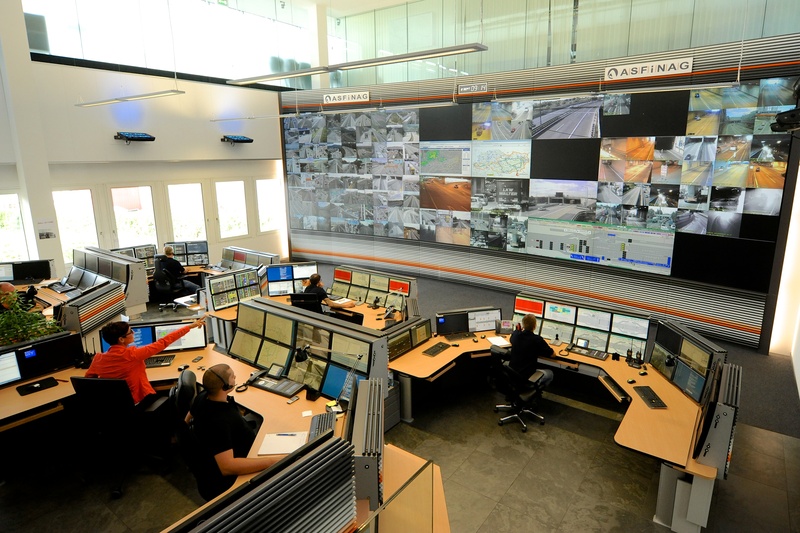 When this happens, the responsible ASFINAG traffic control centre will immediately switch to the camera next to the microphone that triggered the alarm, and the staff in the tunnel monitoring centre can respond immediately. In the second half of 2016, the Bosruck Tunnel on the A 9 Pyhrn motorway saw six critical accidents. AKUT was the first to identify all six of them. Thanks to AKUT, our operators were able to respond instantly and prevent things from getting worse. Throughout Austria, we are installing AKUT in 45 ASFINAG tunnels. 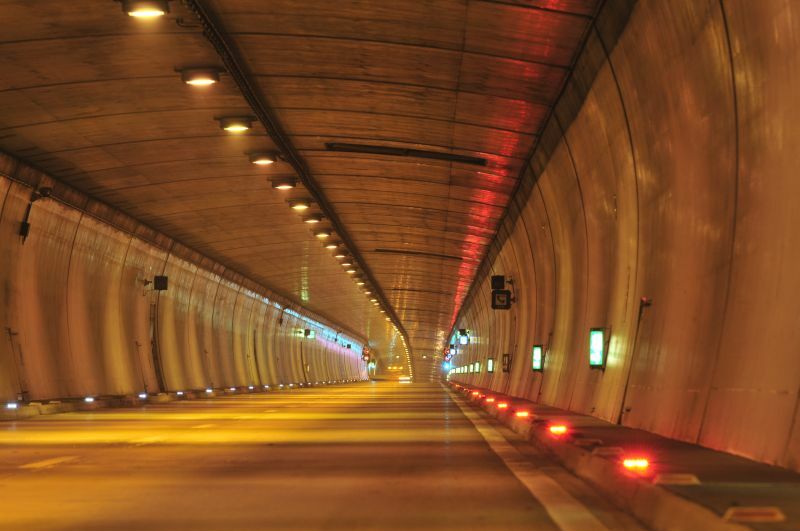 All tunnels are fitted with autonomous power supplies, such as emergency power plants. These can be accessed in the event of a power failure. Each fire extinguisher bay has a hydrant and you can find them every 125 to 150 metres. The fire extinguisher bays are coordinated with the local fire department, and their use is practised as part of tunnel exercises. These are labelled with green and white information boards, some of which are self-luminous or reflective. Escape and rescue routes are either links to the second tunnel tube, or they lead to the outside. 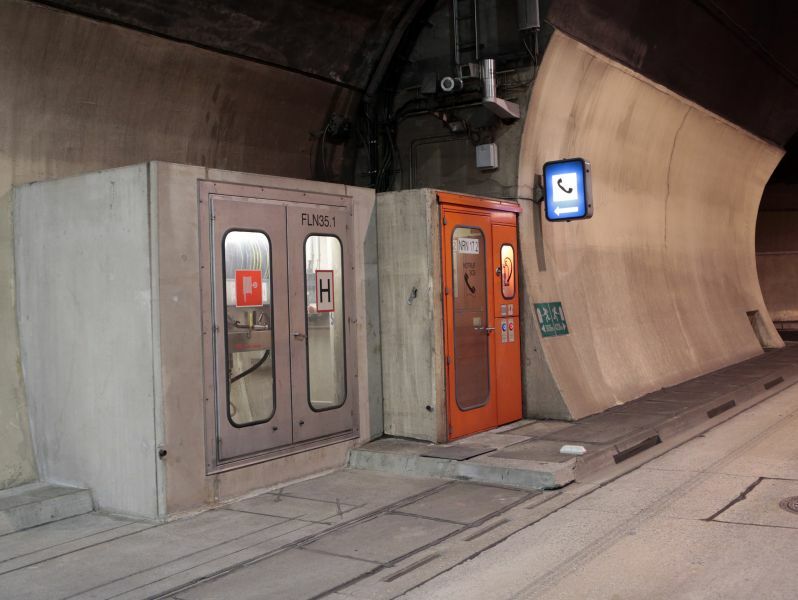 Emergency vehicles can access the tunnels every 1,000 metres. There are footpaths every 250 to 500 metres. A number of high-tech systems, such as video image analysis, fire detection sensors, thermal scanners and acoustic tunnel monitoring (AKUT), means there is a rapid response in the event of a problem. Sensors measure the brightness of the light and ensure that the lighting in the tunnel is always optimally adapted to the human eye. The lighter it is outside, the brighter the light at the entrance to the tunnel. Emergency telephones are among the most important safety equipment for quick and targeted help. Callers are directly connected to the nearest traffic management centre. Our staff knows exactly where you are and immediately alerts all rescue services. On the outside of the emergency call booths and niches are also a fire alarm and an SOS alarm that you can activate by the push of a button. Radio reception inside the tunnel is an important safety feature. Hitradio Ö3 can be received throughout Austria, and the regional ORF radio stations in the federal provinces. 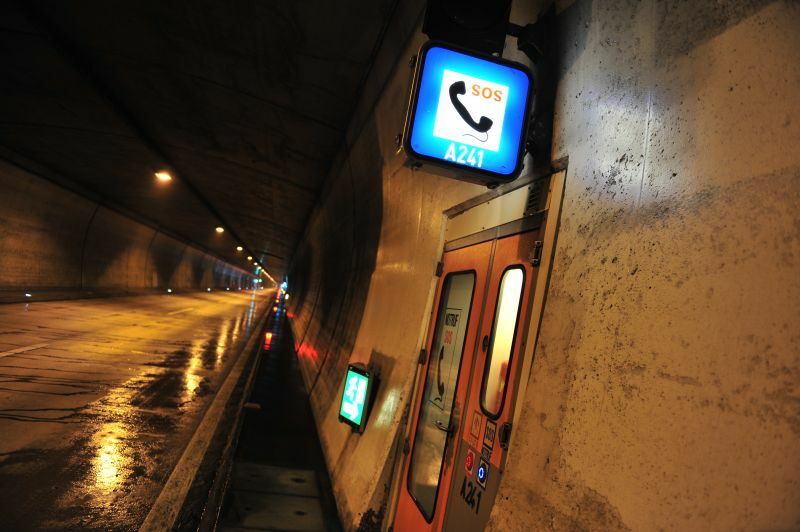 If necessary, the ASFINAG tunnel operators can make radio announcements for the drivers. In the absolute worst-case scenario, the high-pressure spray mist system provides fire protection. 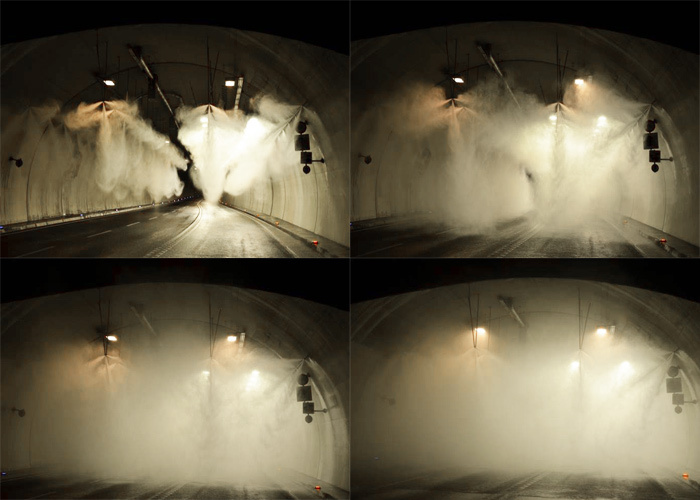 The high-pressure jets (around 55 bar) distribute spray mist in the tunnel. 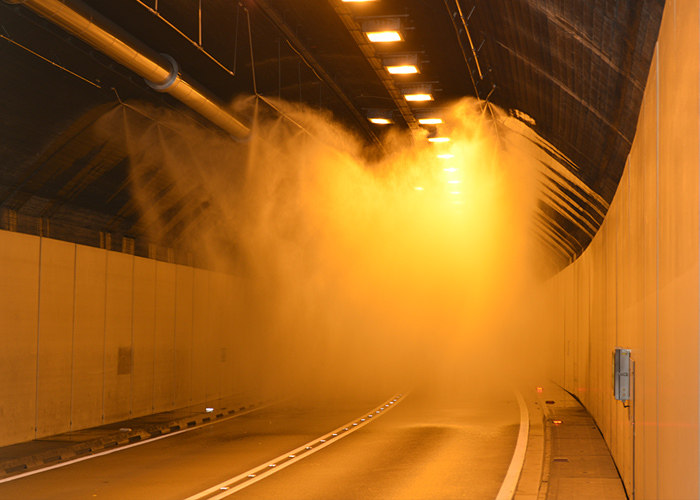 This produces water mist, which prevents the high temperature from spreading and protects road users and the tunnel structure itself. This automated system keeps the high temperatures in check until the fire department arrives. This is an important first step for preventing the fire from spreading in the tunnel. 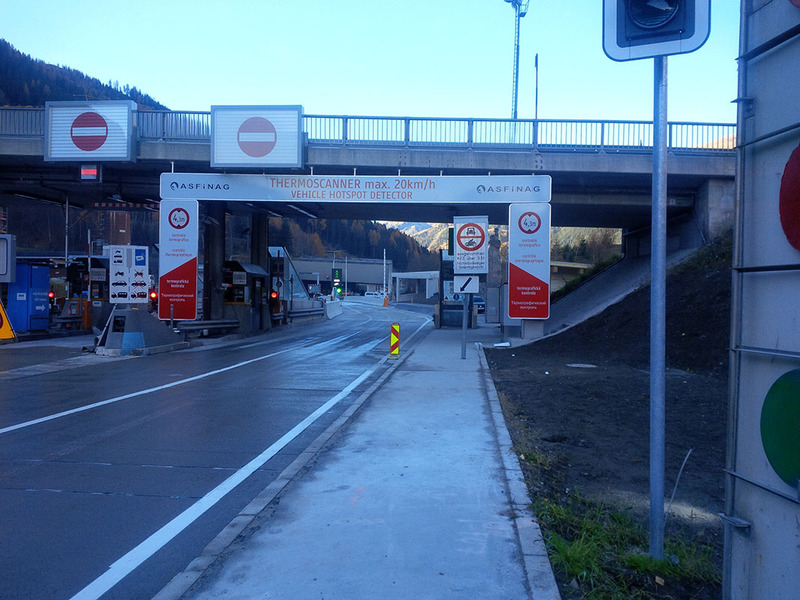 Plans are in place to install a spray mist system in the Arlberg Tunnel at S 16 of the Arlberg expressway and in the Wald Tunnel on the A 9 Pyhrn motorway. 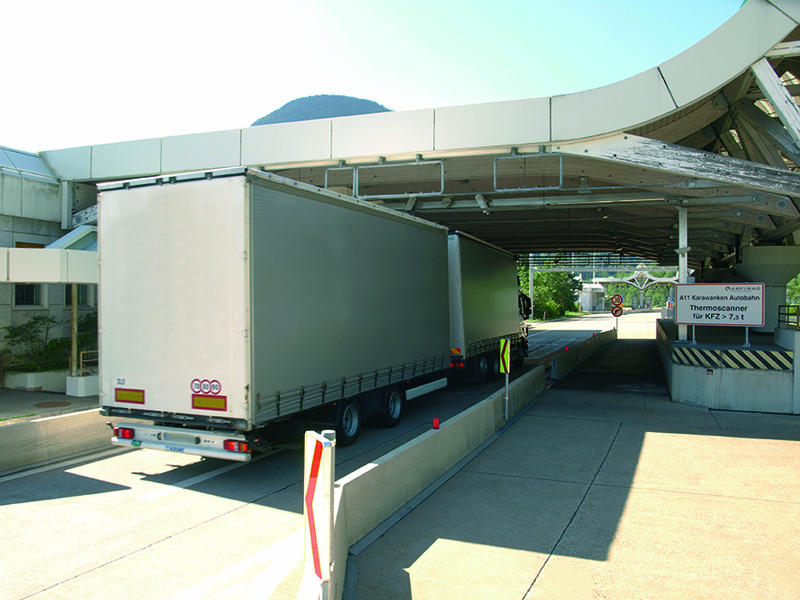 The thermal scanner detects overheated lorries and buses and gets them to cool down before entering the tunnel. How does this work? Special cameras detect heat and scan vehicles to detect overheated parts such as brakes, turbochargers and engines. This technology can prevent a vehicle fire in the tunnel. A thermal scanner was installed outside the Karawanken Tunnel (A 11 Karawanken motorway) in May 2012. It scans around 1200 heavy vehicles per day and, depending on the outside temperature, it diverts up to three lorries a day. Another thermal scanner is active outside the Arlbergstraßen Tunnel on S 16 between Tyrol and Vorarlberg. We always keep an eye on your safety. 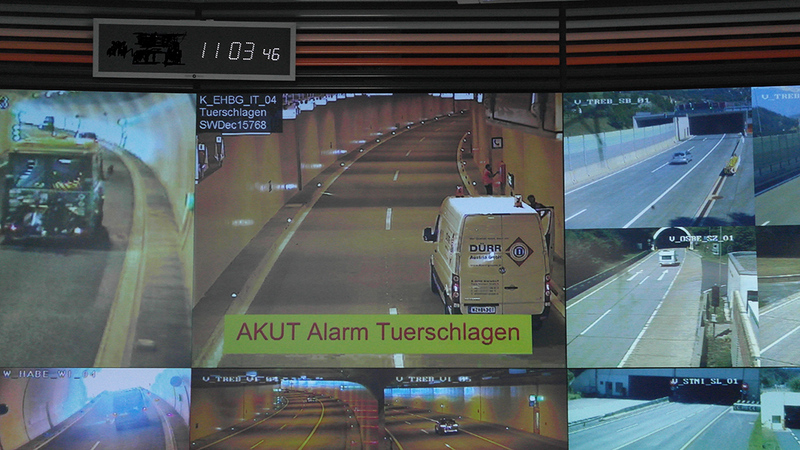 Every tunnel is fitted with cameras and is monitored around the clock by our nine traffic management centres in Austria. Each camera can be controlled separately. There are around 5000 such cameras in Austria. They record the video material for 72 hours. When necessary, the video material can be accessed by court order. After 72 hours, the material is automatically deleted. All cameras are of course subject to the strict regulations of the data protection authority.